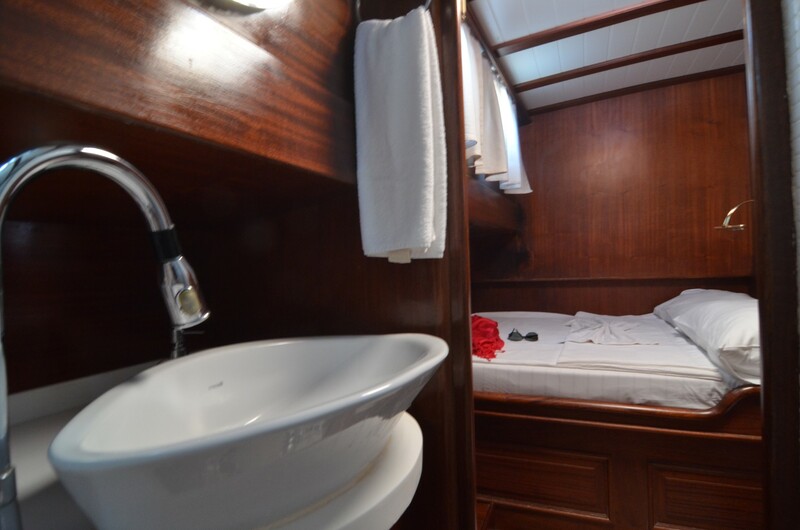 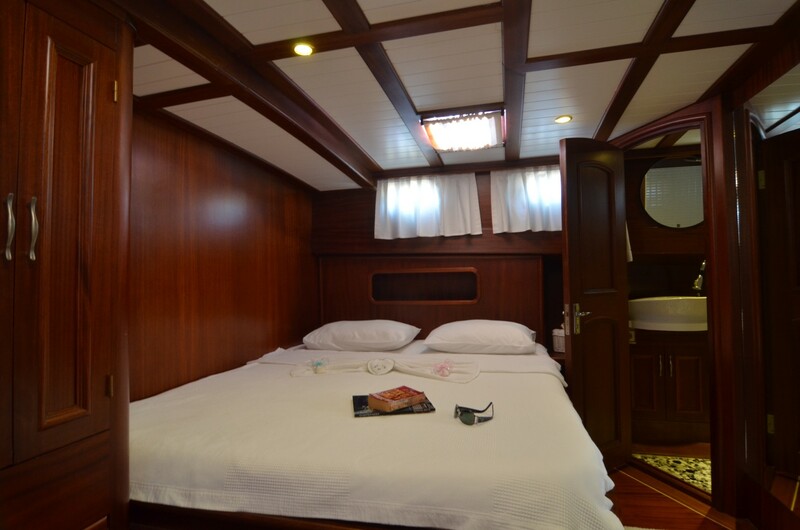 Gulet Cosh, 2 cabins private gulet for Couples and Mini Cruisies in Turkey. 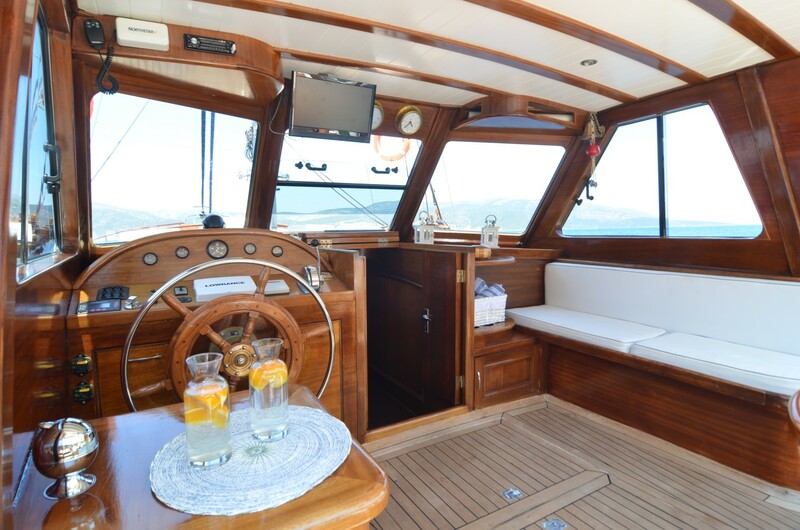 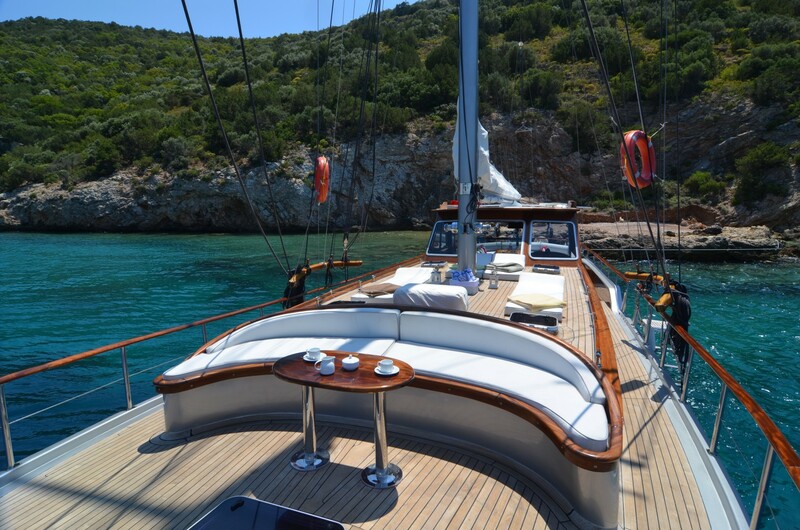 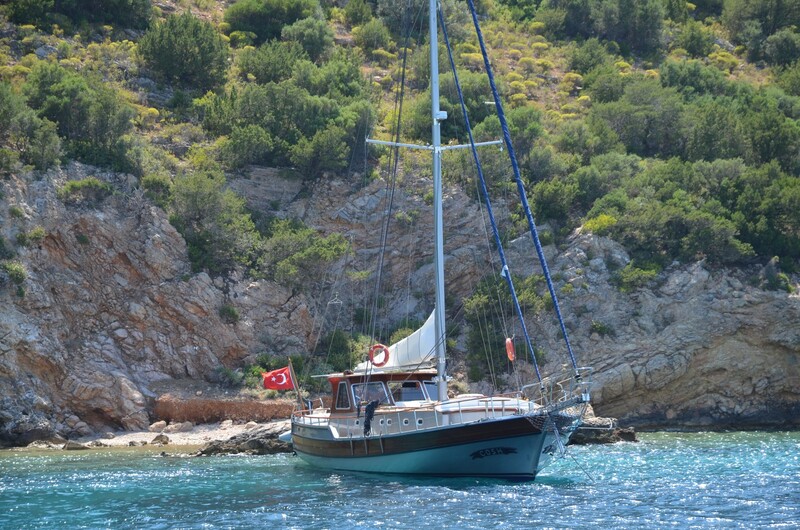 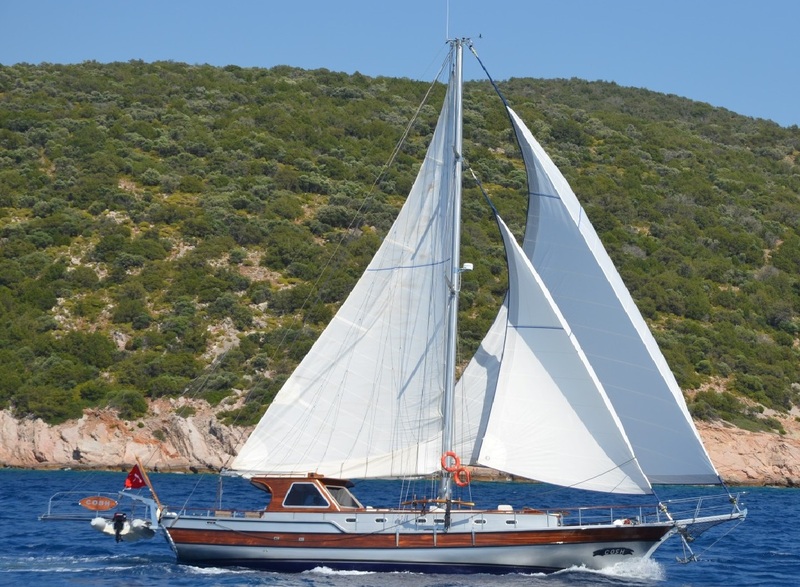 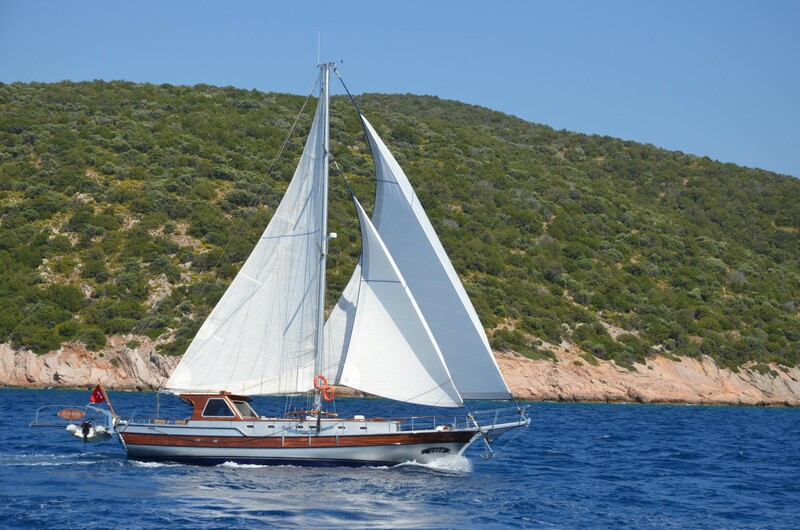 A rental of luxury gulet Cosh, a small classic wooden Turkish boat, is perfect for a cruising holiday for a couple, honeymooners, or a small family. 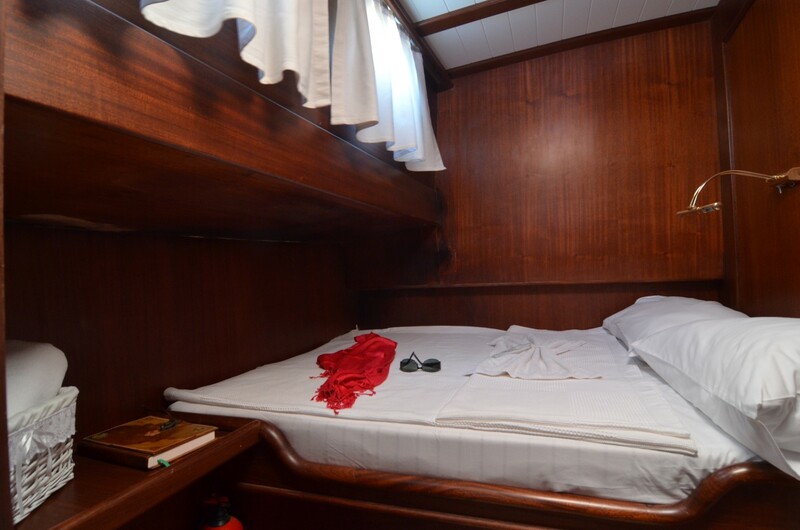 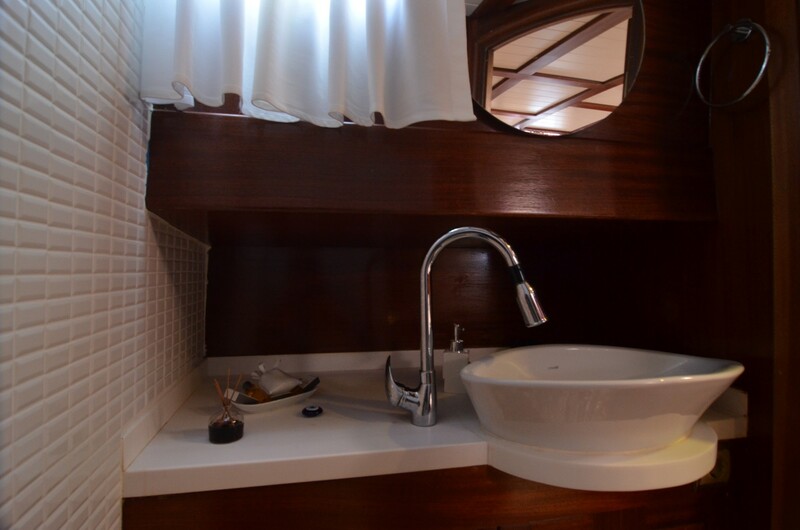 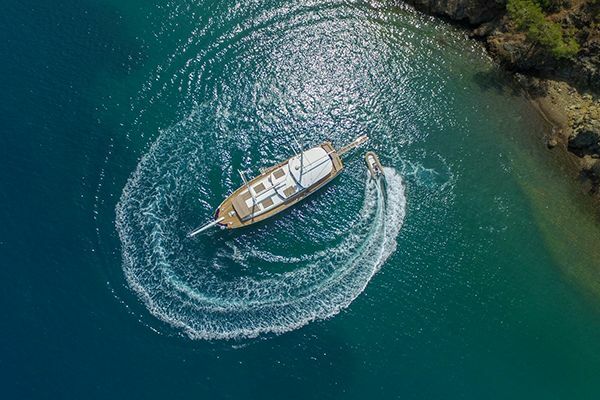 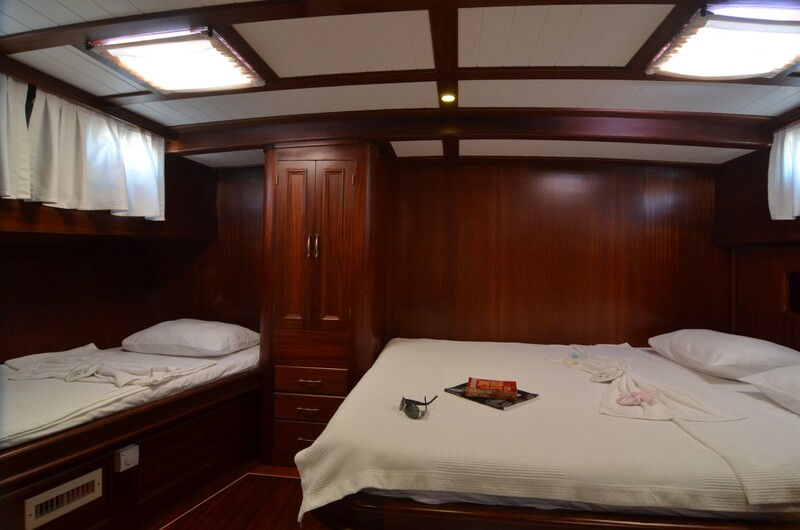 With just two air-conditioned cabins - a master and a double, both with their own ensuite bathroom and rain shower, the crewed gulet offers intimacy but space and all the service and amenities of larger luxury gulet charters. 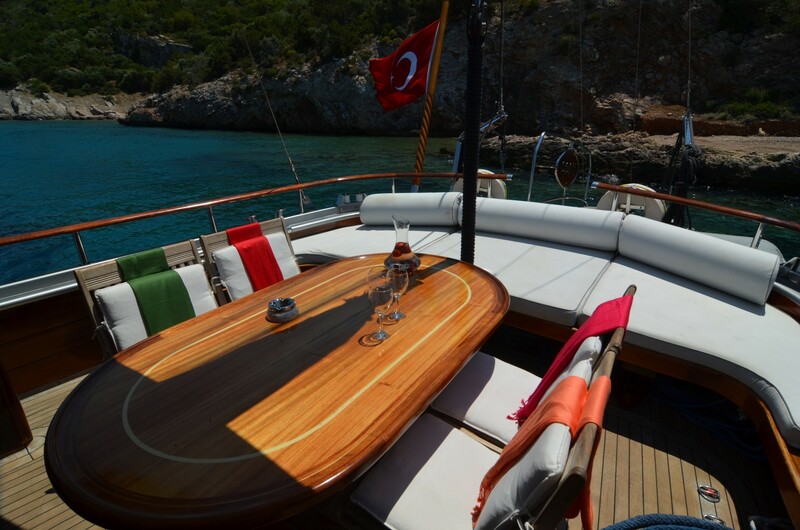 Sunbeds on the foredeck please the sunbathers, and the deliciously inviting curved bench seat forward in the bow is just the spot for sunset drinks or a quiet morning read. 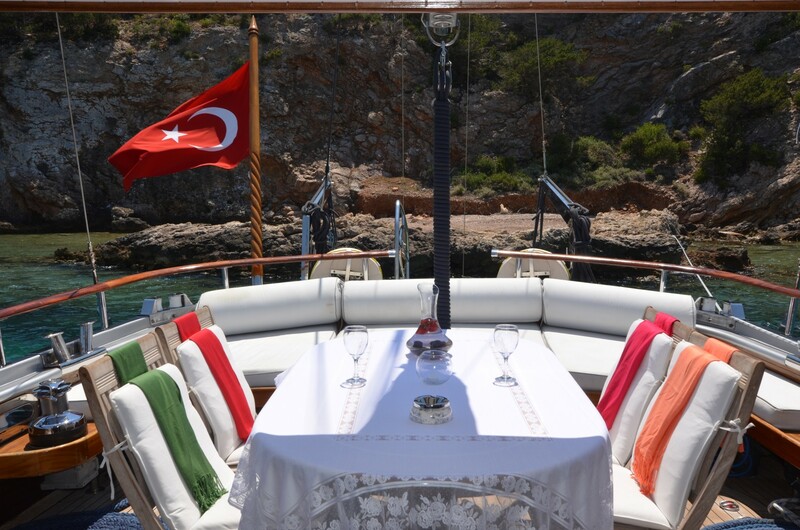 Dining alfresco on the rear deck table is a marvellous experience with excellent meals coming from the neatest but fully equipped galley. 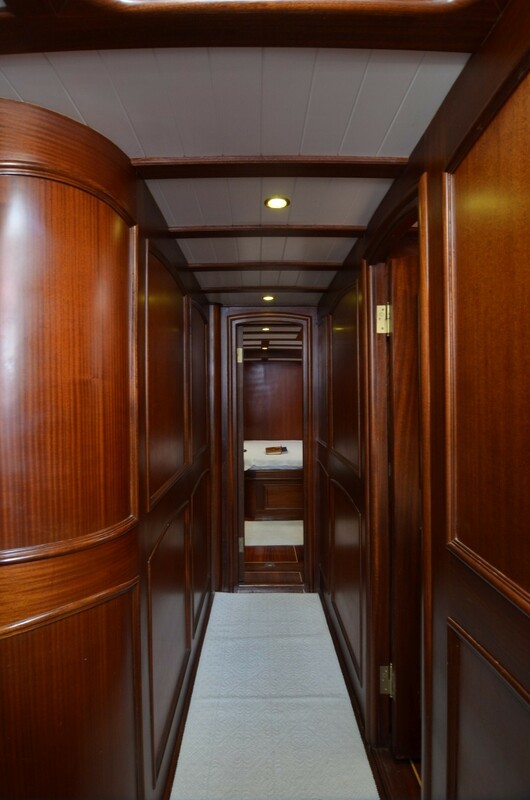 The galley is discretely screened from the corridor from the deck to the cabins. 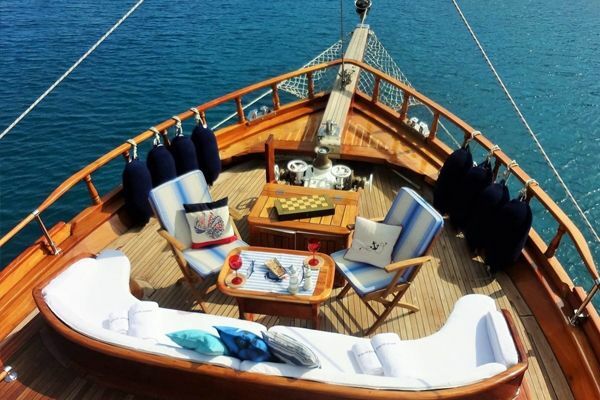 The shade is to be found on the stern lounging cushions, while the water beckons from the quiet anchorages the captain of Cosh finds where larger boats cannot go. 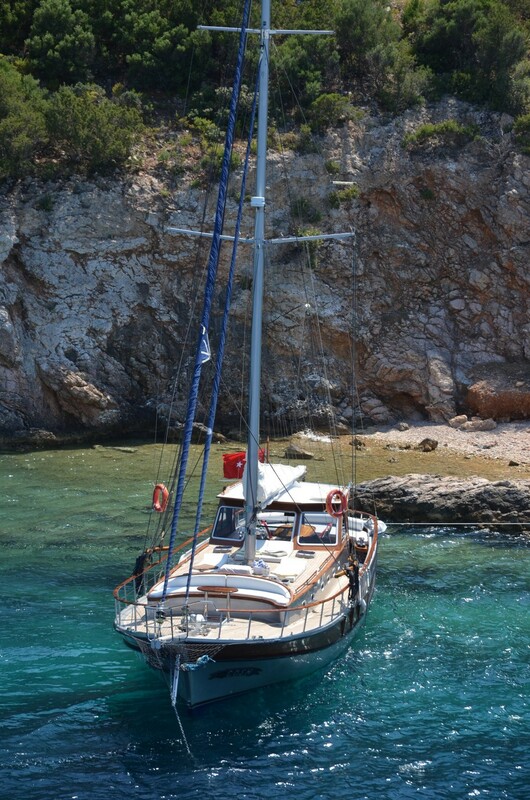 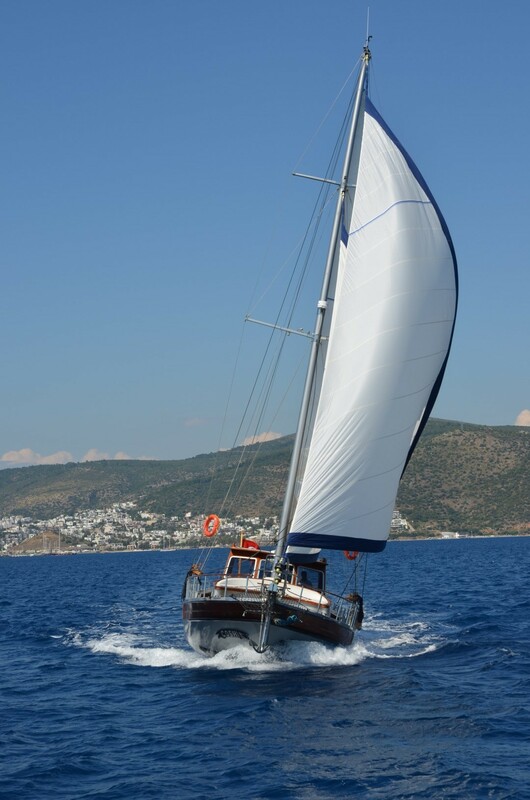 The separately housed discrete crew of two present excellent, cheerful service and are happy to put the sails up too. 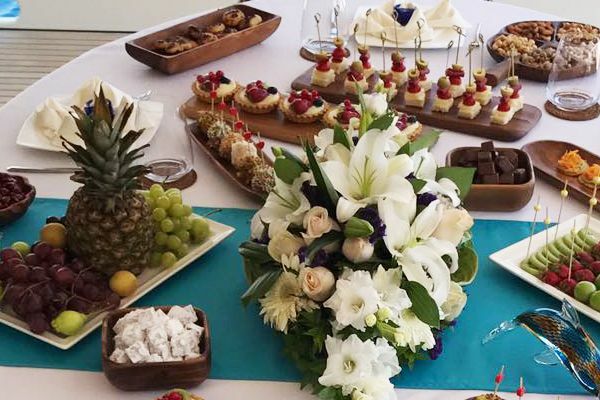 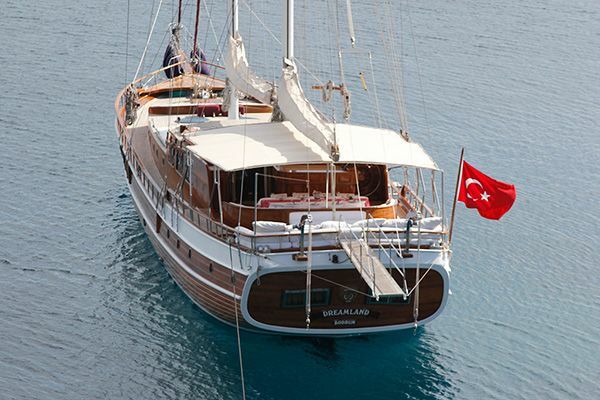 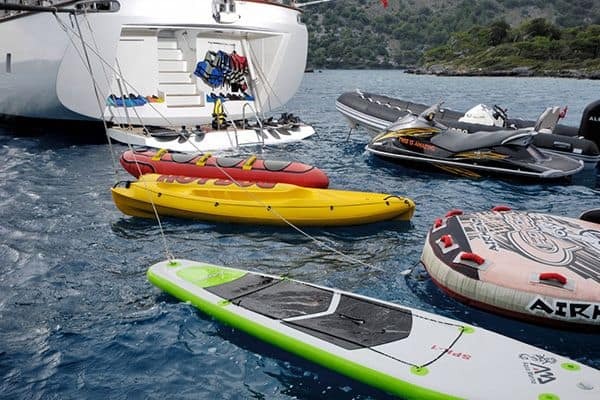 What more is needed to explore Turkish waters and Greek Islands from Bodrum?